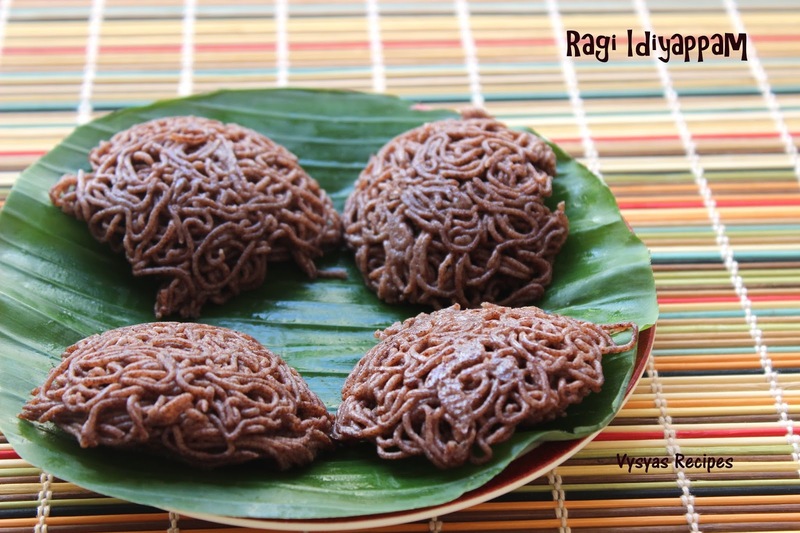 Ragi Idiyappam is a healthy and filling breakfast Recipe, made with Ragi flour and little Rice flour. Ragi contains high amount of calcium which can be the key factor for bone development.If you consume ragi regularly then you can control diabetes.Ragi helps to improve hemoglobin level of your body so that it can be the great choice for new mothers. They can add ragi in their diet to increase the milk production to feed their babies and it will enrich the milk with vital amino acids, calcium and iron.Today we will learn to make Ragi Idiyappam. 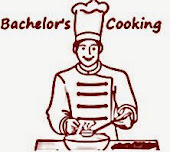 Cook Time : 10 -12 minutes per batch. Sprouted Ragi flour/Ragi flour - 3/4 cup. Dry Roast the Ragi flour, in a kadai for 4 - 5 minutes, till you get nice aroma. In a mean time, heat water,(1 + 1/2 cups app) and bring it to a rolling boil. After you got nice aroma, add rice flour and salt.Mix well. switch off the flame. Add water(rolling water) little by little over the flour, and mix well with spachula. 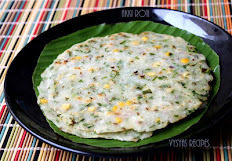 Flour leaves, the sides of kadai and comes in the form of soft dough consistency. Allow it to cool for few minutes.when it is little bit warm knead well using hands. 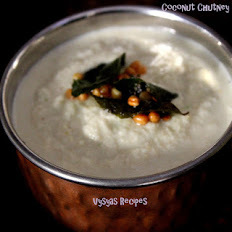 Then take idiyappam Maker, fill 3/4 of it with dough. 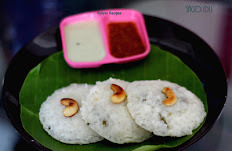 Then squeeze it, over greased idli plates in a circular motion. Steam cook it for 10 - 12 minutes. 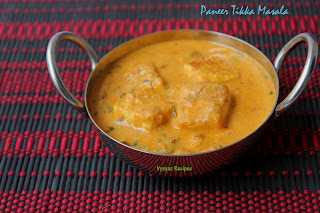 Now hot Piping Idiyappam is ready to serve. I used sprouted Ragi flour to make idiyappam. you can use plain Ragi flour also. water quantity varies depending on the type of flour. if you feel batter is dry, heat some more water and add it to make smooth dough. 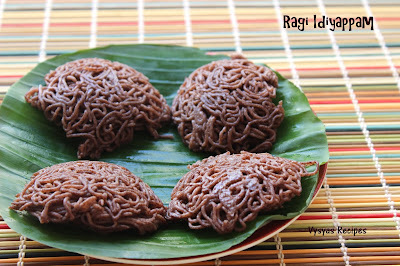 you can serve Ragi Idiyappam with kadalai curry, stew or coconut chutney. 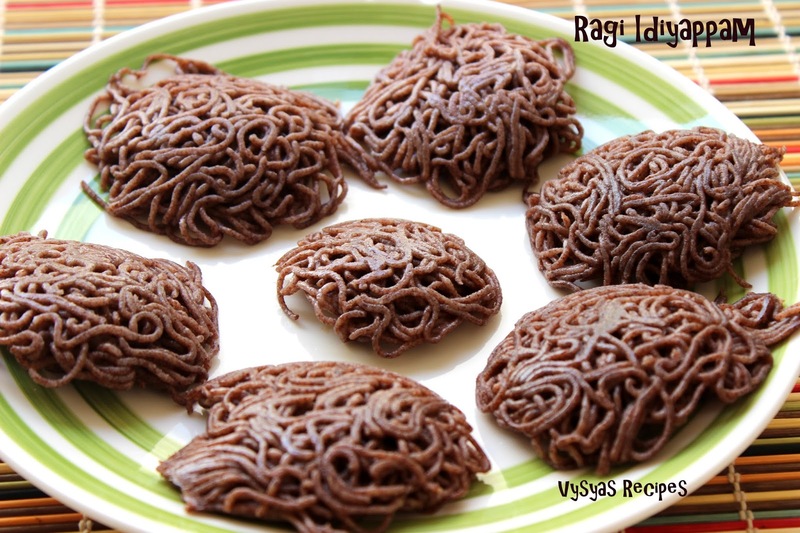 Ragi Sevai: you can crumble the idiyappam and keep it ready. Heat the oil, add mustard seeds when it splutters add chana dal, urad dal, curryleaves, 2 green chillies and 2 red chillies.when dal's turns golden brown, and chillies turns pale, add Crumbled idiyappam and needed salt. mix well. serve hot.Now Ragi Sevai is ready. 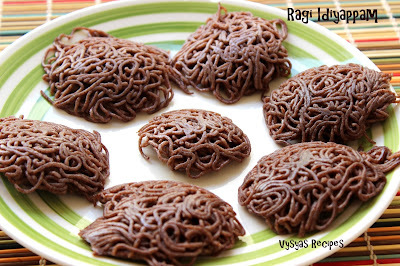 Healthy recipe, we should try to use ragi in every form.